As banks in the UAE grapple with the new value-added tax (VAT) regime and the high compliance costs associated with mandatory tax registration, it is likely that they follow international trends by increasing their fees to compensate for the additional costs, banking analysts said. "We believe it quite probable that banks will eventually be forced to increase prices to their customers to maintain their current profitability," Clare McCol, partner, head of Indirect Tax at KPMG, wrote in 'UAE banking perspectives 2018', report. "Where banks suffer significant, irrecoverable VAT costs, and/or treat existing taxable fees as VAT inclusive, there may be incentives to cut costs in other areas. As there is no VAT charge on employee salaries or using own resources, banks that currently outsource services, such as back-office activities or call centres, may elect to bring these services in-house to mitigate potential, irrecoverable VAT costs," McCol said. The executive regulation on the UAE VAT law has a detailed definition of financial services and distinguishes products and services on which VAT is applicable. As per the law, most financial services are VAT exempt in the UAE. The Federal Tax Authority (FTA) has said products with an explicit fee, commission, rebate or discount would be subject to the regular 5 per cent VAT, while interests on forms of lending including loans, credit cards and finance leasing would be exempt. In the case of credit card related services, while the interest is not taxable, annual fees on credit cards will be subject to VAT. In the same manner, while foreign exchange spreads are not going to be taxed, 5 per cent VAT will be applicable on remittance fees. The authority also said the issue, allotment or transfer of an equity or debt security would be exempt as will be the margin-based products that do not have an explicit fee, commission, rebate or discount. S&P Global Ratings is of the view that banks will pass on some of the VAT increase to their clients to avoid increasing fees and commissions levied by the full VAT amount. "We also believe banks will incur VAT as part of their general spending. These assumptions lead us to expect a slight negative impact of VAT introduction on banks' profitability," said Mohamed Damak, head of global Islamic finance at S&P Global Rating. According to experts, as a general rule, exempt financial services will include spread-based products and service and margin-based products (those generating interest income). And finance facilities with profit rates in the case of Islamic banking are exempt. Thus products such as loans, mortgages, credit cards etc are in the VAT exempt category. McCol said as a general rule, margin-based products, such as those generating interest income (loans, mortgages, provision of credit, and operation of bank accounts) are exempt of VAT. "This will have no direct impact on the end consumer as they will not be charged VAT. However, there could potentially be a substantial impact on the profitability of the banks since banks will not be able to claim credit for any VAT incurred on expenses related to the making of these exempt supplies." ATM charges are now subject to VAT. Favourably for the banks, VAT incurred on costs directly related to making these taxable supplies will be recoverable. Generally, banks tend to recover only a small fraction of the total VAT incurred on expenditure as a result of their exempt income, as it can be very difficult for banks to directly attribute their costs to specific revenue streams. The vast majority of costs therefore fall into the overhead category, which includes general expenses such as lease of premises, utilities, professional fees and marketing, to name a few, McCol said. "An added complexity is that the UAE VAT legislation's standard method for apportioning VAT incurred on overhead costs to determine the recoverable VAT is based on the use of the VAT paid on expenses. 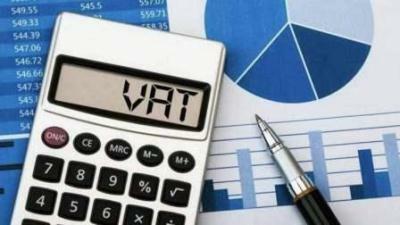 The legislation does not allow a change in apportionment method to achieve a 'fair and reasonable' VAT recovery until January 2019, at the earliest," McCol said. "Future acquisitions of Capital Assets (from a VAT perspective, where the VAT-exclusive value paid exceeds Dh5 million) will result in an increased administrative burden as the use of these assets will need to be monitored over their VAT economic life (10 years for buildings, five years for any other capital asset). Any change in use could result in either a payment or repayment of VAT to or from the Federal FTA," he said.